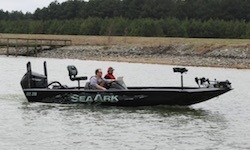 MONTICELLO, AR (March 19, 2017) -– SeaArk Boats is pleased to announce the addition of a new bass boat model, the BC 210. The model was well received during its introduction this past weekend at the Bassmaster Classic. The BC 210 utilizes a step hull design, the 10° all-welded Evolution Hull, which is the first of its kind in the SeaArk line-up. Thanks to input from bass boat industry leaders, the interior layout is well designed and features a built-in cooler, a 43-gallon livewell, four lockable storage boxes (two lighted), and two lockable lighted rod boxes that fit up to 22 rods. SeaArk design is known for its strength and durability, and the BC 210 is no different. Using .125-gauge aluminum for the hull, floors and decks, a 3/16” extruded center keel, oversized extruded cap rails with an accessory track, and entirely no wood, this boat was built strong. Also standard on the BC 210 and designed by industry leader Bass Cat Boats is a fiberglass console that accommodates a large depth finder and provides a comfortable drive. Specifications for the BC 210 are 21’6” length, 94” beam, 72” bottom and 200 HP rating. There are many options available including dual consoles, power poles, hydraulic jack plate, and the Amped Package. 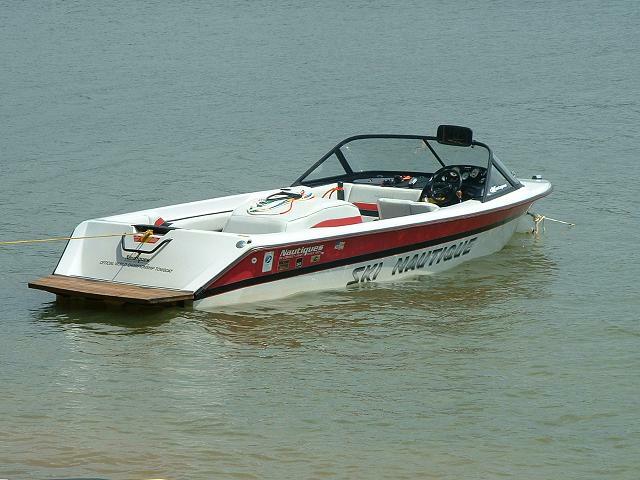 For more information, visit www.seaarkboats.com or any authorized SeaArk dealer.